The Sharpie Pen has been around for a while now, but, for whatever reason, it never quite caught my attention until recently. 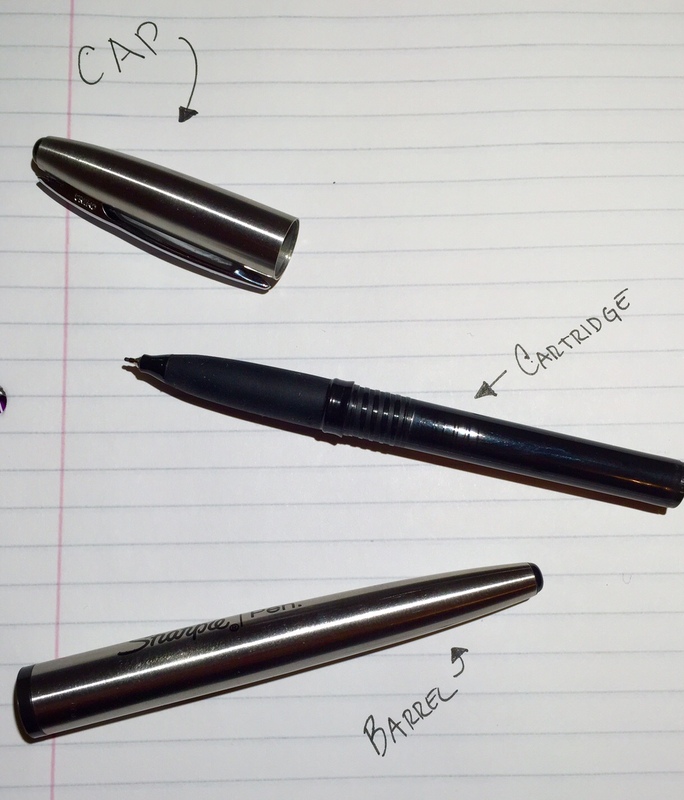 It was at a big box store that I spotted the stainless steel Sharpie Pen with its torpedo-like design. It looked nothing like all the other pens surrounding it, and I knew that I had to have it. And now that I’ve been using it, I fully understand why the Sharpie Pen line has grown so huge. 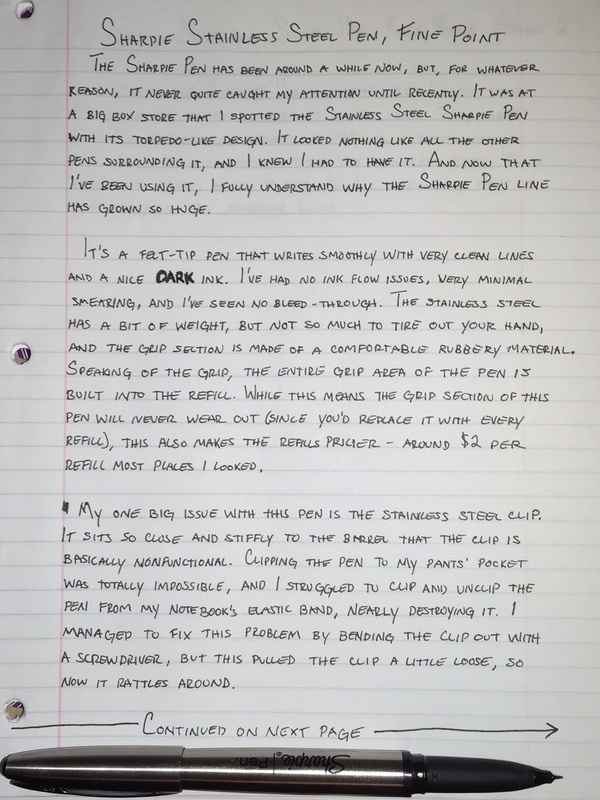 It’s a felt-tip pen that writes smoothly with very clean lines and a nice dark ink. I’ve had no ink flow issues, very minimal smearing, and I’ve seen no bleed-through. The stainless steel has a bit of weight, but not so much to tire out your hand, and the grip section is made of a comfortable rubbery material. 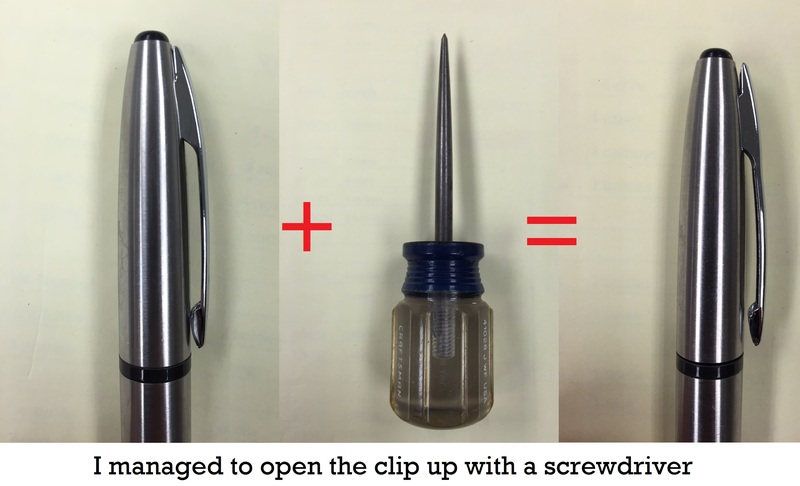 Speaking of the grip, the entire grip area of the pen is built into the refill. While this means the grip section of this pen will never wear out (since you’d replace it with every refill), this also makes the refills pricier – around $2 per refill most places I looked. 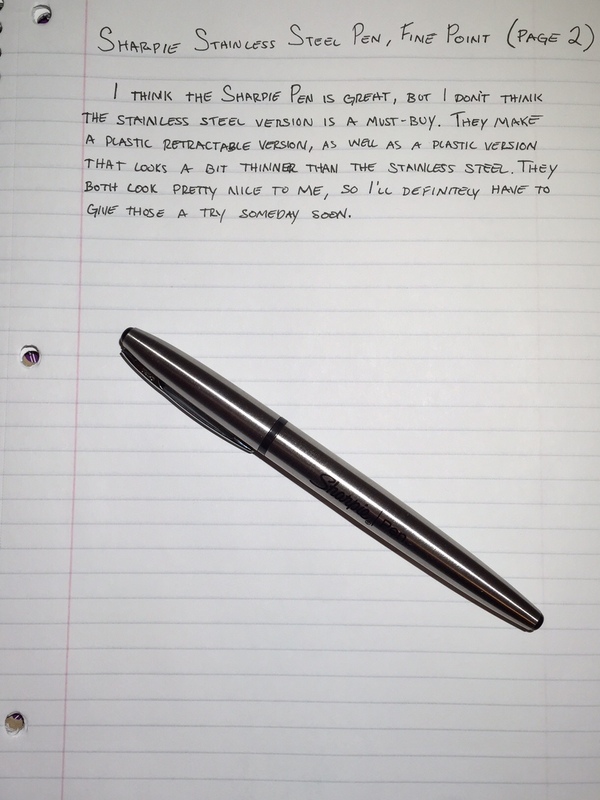 My one big issue with this pen is the stainless steel clip. It sits so close and stiffly to the barrel that the clip is basically nonfunctional. Clipping the pen to my pants’ pocket was totally impossible, and I struggled to clip and unclip the pen from my notebook’s elastic band, nearly destroying it. I managed to fix this problem by bending the clip out with a screwdriver, but this also pulled the clip a little loose, so now it rattles around. I think the Sharpie Pen is great, but I don’t think the stainless steel version is a must-buy. They make a plastic retractable version, as well as a plastic version that looks a little bit thinner than this stainless steel.They both look pretty nice to me, so I’ll definitely have to give those a try someday soon.